I'm a big baby when it comes to cold weather. If it were up to me and me alone we would all move to someplace that it was warm year round. But it's not and so I'm here in good ole Indiana enjoying (she says with sarcasm) this lovely season we call winter. It honestly hasn't been too bad this year, and as I'm typing this we are headed into a weeks worth of 60's. I actually had to wait until about a week ago for their to finally be some snow so I could properly check out my new Lugz Tallulah boots. Let me tell you it was so worth having the snow just so I could run around outside in my boots. The faux fur lining is so soft, and so comfortable! I almost considered wearing these without socks just so I could feel it on my feet. It kept my tootsies nice and toasty the entire time I was outside. Now I just need to figure out how to keep my nose warm so I don't look like Rudolph when I go back inside. 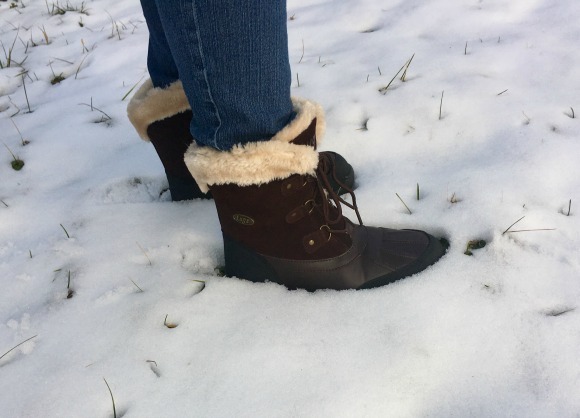 The Tallulah WR is cozy, functional and fashionable, featuring a water resistant upper, a plush faux fur lining and a reinforced rubber heel and toe for traction and durability. They are super easy to slip on and off too. They come in the red/brown that I got as well as black and golden wheat so there's a pair to fit all your fashion needs! I mean a girl has to accessories her boots to match her outfit right? Plus they come in a tall version if you happen to live somewhere that actually gets more than a few inches of snow at a time. 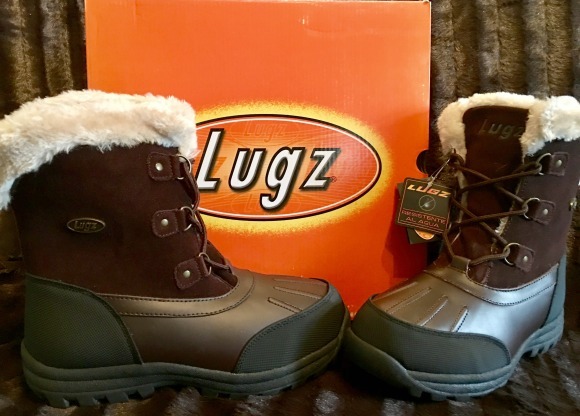 I love these Lugz boots, having heard so many good things about them! Being water resistant is a plus for those out in the rain or snow. I want a pair of these boots. My friend has a pair and can't say enough good things about them. I've been really impressed by what I've seen from Lugz recently. These boots look so warm. These look so comfy, warm and stylish :) We had snow 4 times this winter in Oregon which is unusual and lots of freezing rain. I think I need a good pair of water resistant, warm boots like this! I will have to look for this brand. I need a new pair of warm & dry boots.